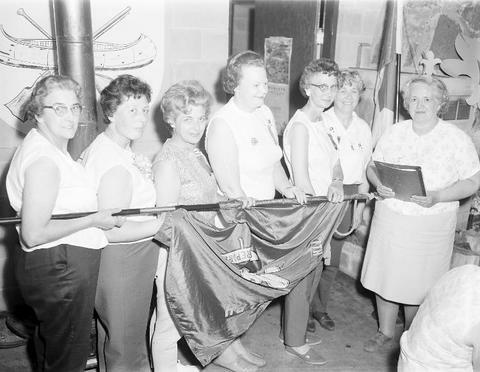 This pictures shows the executive of the Scout Ladies Auxiliary. From left is Mrs. H. A. Manning, past president; Mrs. D. Taylor, first vice-president; Mrs. E. Blunn, treasurer and Mrs. W. W. Orr, secretary. Also shown is Mrs. William Petrie and Mrs. J. Bullock.